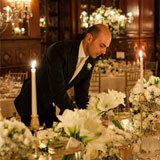 Enzo Miccio, with his consolidated staff and its production company, designs and executes wedding and special events, private or corporate, in Italy and worldwide. The experience and creativity of Enzo Miccio means that every event is studied in the smallest detail in order to meet the demands of his customers and to guarantee moments of pure beauty where the scenery, floral decoration, food, light design, the music blends in to give birth to an event with a strong emotional impact. 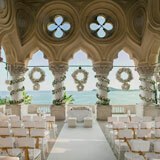 Historic palaces or villas with unforgettable views, wild or romantic beaches, ancient lakes or prestigious locations in the art cities; Enzo Miccio, along with his staff, will help future spouses or clients to find the location of dreams that best suits the type of event to be organized. Ancient castles to crown the dream of romantic princesses, metropolitan lofts for modern and design environments, up to the suggestive Tuscan villages or Apulia farms for country chic weddings. 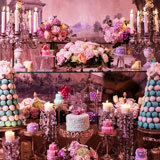 One of the key elements for the perfect performance of any event is undoubtedly the banqueting service. Thanks to his twenty-year experience Enzo Miccio has partnerships with the industry's largest national and international experts, in order to guarantee guests an unforgettable food experience; a real journey into taste by customizing each menu according to the style of the event and the tastes of the customers. Flowers can be romantic, modern, talk of distant lands or of passion and love. 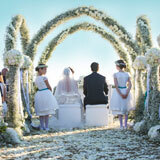 An event, which is a wedding or a special circumstance, without flowers, would be bare. Enzo Miccio knows this well, passionate and expert in flowers, considering them one of the main elements of any set design. From small and minimal compositions to real floral sculptures, flowers with their color palettes become the protagonists of a unique set-up, studied of the smallest details and able to once again dream. 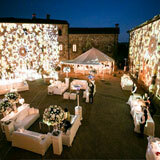 Light is undoubtedly one of the indispensable elements for the event designer Enzo Miccio, for the success of an event. Enzo Miccio, thanks to an internationally renowned light design staff, is able to transform any event into an unforgettable spectacle, thanks to precious light games that give a magical allure to the whole. From an aperitif to cake or sweet table, all moments will be accompanied by a different and unique light that can make the magic and evocative frame. National or international performers to amaze, cheer and entertain guests during the event, musicians and singers, acrobats or dancers. Enzo Miccio, thanks to his strong passion for theater and art in all its facets, is able to enter in a harmonious way any type of entertainment, from the most sought after to the most extravagant, integrating it perfectly inside the event and transforming the whole into a true theatrical work. The business card of any event, from marriage to private party, is without doubt the invitation. Hand-drawn or designed by the internal graphic office, created following the thread of the entire set of equipment, becomes a key element of the set design. From the invitations, to the menus and the tableau de mariage, Enzo Miccio creates for his customers custom and unique logos, handmade monograms, hand-flipped cards on handmade cards, providing a sophisticated calligraphic service. What is a moment without memories? The photographs are able to capture a moment and make it infinite and eternal; this is the goal of the team of photographers and video makers alongside Enzo Miccio during the events. 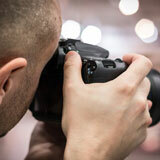 Capture memories and make them unforgettable and tangible. National and international professionals adjoin Enzo Miccio in this unique and special mission, telling a story of smiles, hugs, looks, emotions. No matter what the occasion, which is the bride, bridesmaid or simply invited; being perfect is very important. That's why Enzo Miccio has always been supported by a team of beauty professionals. Stylish hair stylists and make up artists will, thanks to Enzo's advice and following what customers want, enhance the beauty of anyone who decides to trust their team. Custom glasses, porcelain made in Italy, ad hoc plates for the event. Nothing is left to chance in the design of the table for Enzo Miccio. From the centerpiece to the table cloths, everything can be made and customized to make the table a realistic stage element that perfectly follows the fil rouge of the entire event. Everything is chosen with the supervision of Enzo Miccio who personally works to create the perfect mise en place for any customer. Pampering guests, making them feel comfortable and thanking them for their participation in the wedding with a cadeau is crucial to the perfect success of a wedding. 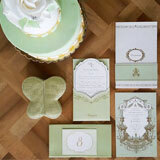 For this Enzo Miccio creates wedding gifts that perfectly follow the fil rouge of the event. Small boxes full of sweetness and memories for all participants in the wedding party or gifts specially created for the bride and groom to leave a sign that lasts forever. Paladin of good taste and expert in fashion and trends, Enzo Miccio has been in charge of style and image consultants for years. Stylist expert thanks to his huge passion for the fashion industry and to a well-established staff of experienced hair stylists and make up artists, is able to support and advise anyone in choosing the perfect outfit for either a special event or for life every day by providing ad hoc advice based on the lifestyle and image you want to communicate. 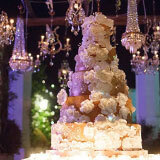 The cake represents one of the most magical and exciting moments of the event. An ad hoc set design will be the cornerstone that will reveal a true coup de théâtre. Thanks to a team of maitre patissier, Enzo Miccio will design the perfect cake for every event that will be realized while respecting the directions and taste of the customers. A true triumph of beauty and sweetness to end an unforgettable day. "I know what women want, they want to be beautiful" this was the mantra of the great Master Valentino Garavani and it is with this phrase that Enzo Miccio, designer wedding dress and ceremony, has decided to start his adventure in this world . Dresses designed by Enzo Miccio are entirely handmade and Made in Italy. The designer creates dresses for any occasion, from the high fashion bridal gown, to his bridesmaid collection whose pastel colors become the protagonists. A true hymn to tailor and elegance to enhance the beauty of each woman.